The link between our world and science has always fascinated me. One of my interests is crop science and how some of the world’s most important foods in our society will be affected by climate change. At LIYSF, students visit Kew Gardens and work with world class institutes such as the Rothamsted Research Station which are also working on some of these global challenges. Crop production today is over-dependent on only a small number of plant species; 75% of world agriculture comes from only 15-17 crops (FAOSTAT, 2012). 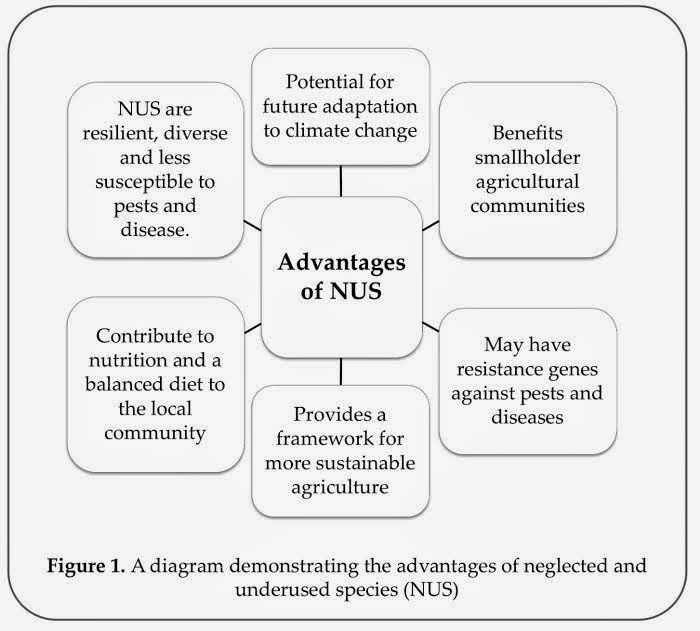 Agriculture must adapt to changing climatic conditions and one area of crops receiving substantial research interest recently are neglected and under utilised species (NUS). NUS are wild crops found in many different countries and are often used in indigenous communities and cultivated by farmers. NUS have the potential to improve local community livelihood, and have unexploited economic potential. One example, is the seed of Jatropha pseudocurcas, a potential oilseed crop, which has been identified because of its ability to survive the harshness of climate change – hotter summers, aridity and extreme temperatures with less rainfall. Furthermore, when crops are grown in monocultures, they become increasingly susceptible to disease. India is facing a bigger problem. The government are subsidising farmers for growing major crops such as rice, but this requires huge amounts of water and chemicals to produce. ‘Minor millets’, termed minor because they only account for 1% of food grains have received very little research attention, but they can be grown in poor soil and climatic conditions as well as provide nutritional benefits to communities. It’s been proven to work too. A study in the Kolli Hills region of India showed that by introducing mini-mills to local farmers in communities, harvesting the crop was successful, and education programmes helped promote its nutritional and economical value (Ravi et al., 2010). The study was run by the M. S. Swaminathan Research Foundation a few years ago. Successful programmes like these can now be implemented in other countries; the success of minor millets can now be enrolled in other countries. One of the biggest problems as the world recognises the use of alternative crops in global food supply will be accessing finance to help agricultural businesses export globally. There needs to be an increase in trade finance global facilities and alternative funders to help these companies grow and be successful, so global multidisciplinary collaboration is essential. Through the London International Youth Science Forum, students from around the world can come together and not only learn about the latest advances in science to tackle some of the world’s biggest problems, but collaborate and discuss these issues with world class institutions and leading scientists. To find out more about if you may be eligible to the London International Youth Science Forum, and how you can get involved.